These brown soda scones are wonderfully light and their nuttiness is enhanced by the walnuts and the scattering of flaxseeds on top. These are best eaten warm from the oven or at least on the day that they are baked. 1. Preheat the oven to 200°C (400°F/gas mark 6). Oil a large baking sheet and dust with flour. 2. Sift the plain flour, bread soda and salt into a large bowl. 3. Add the coarse wholemeal flour and walnuts, mixing well to combine. Make a well in the centre, pour in 275ml (9 ½ fl oz) of the buttermilk and mix well with a wooden spoon, adding the remaining buttermilk as needed to make a soft, moist dough. Be careful not to over mix or the finished scones may be a little tough. 4. Dust a clean work surface with flour, then turn out the dough and dust the top with a little extra flour too. Using a rolling pin, roll out the dough until it’s 2.5cm (1in) thick, then cut or stamp out individual scones with a 6cm x 5cm (2 ½ in x 2in) rectangular cutter. Place on the oiled and floured baking sheet. Brush the tops with the egg wash, then scatter over the flaxseeds. 5. Bake for 20–25 minutes, until well-risen and golden brown. Serve warm or at least on the day that they have been made. 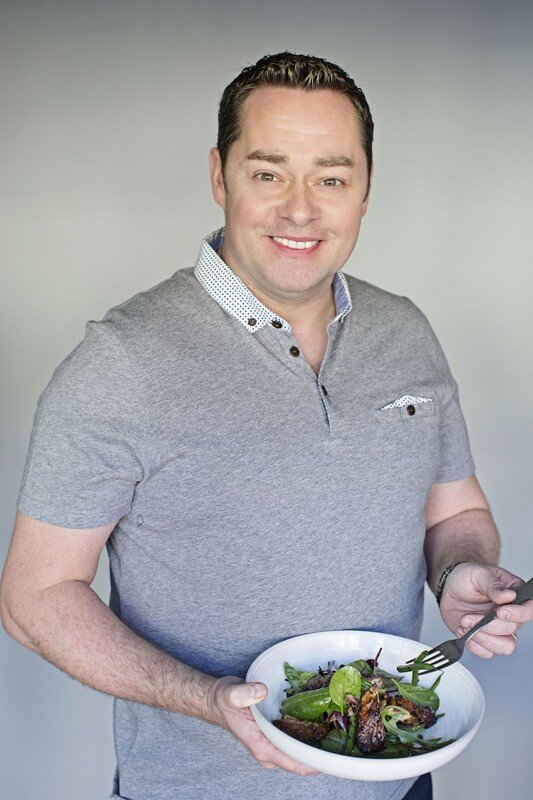 ‘The Nations Favourite Healthy Food’ is the latest book by chef Neven Maguire. Since Neven took over the family business in 2001, MacNean House & Restaurant has been consistently winning awards for its food, service, wine offer and overall dining experience. In addition to his Neven Maguire Cookery School, where Neven presents a range of exciting cookery classes for all skill levels, he has also launched his exclusive ‘The Chef’s Table’ dining experience. Hosted in the beautiful and private surrounds of his cookery school, Neven and his team cook in front of diners and present the restaurant’s acclaimed Tasting Menu. Accompanying wines are presented and served by the restaurant’s sommelier. ‘Healthy Home Chef’ airs Wednesdays at 7:30pm on RTÉ 1 from January 27th. ‘The Nation’s Favourite Healthy Food’ is available in stores nationwide and online at nevenmaguire.com.